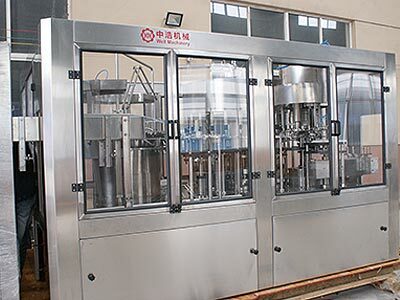 This PET bottle filling machine adopts bottle neck holding transmission technology to realize fully automatic rinsing,filling and capping. Most elements of the electrical system employ famous brand advanced products. Each PET bottle filling machine element that contacts with the liquid is made of high quality stainless steel. This plastic bottle filling machine is washing-filling-capping 3-in-1 unit. It is used to produce plastic bottled mineral water, purified water, alcoholic beverage and other non-gas beverages. 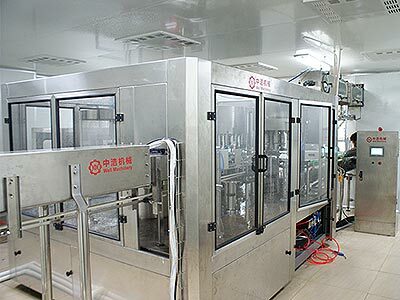 The plastic bottle filling machine can finish all the process such as washing bottle, filling and capping, it can reduce the materials with outside touch time, improve the sanitary conditions, production capacity and economic efficiency. It is a good option for the bottled drinking water factory. This edible oil filling and capping 2 in 1 machine is designed and produced according to Germany technology with our own specialist. Edible oil filling and capping 2 in 1 machine is widely used in filling different kinds of edible oils. 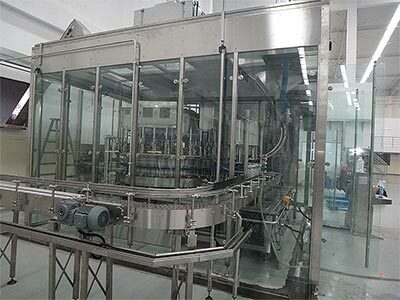 This edible oil bottle filling machine is designed and produced according to Germany technology with our own specialist. Edible oil bottle filling machine is widely used in filling different kinds of edible oils. It is linear,PLC and man-machine interface control machine.